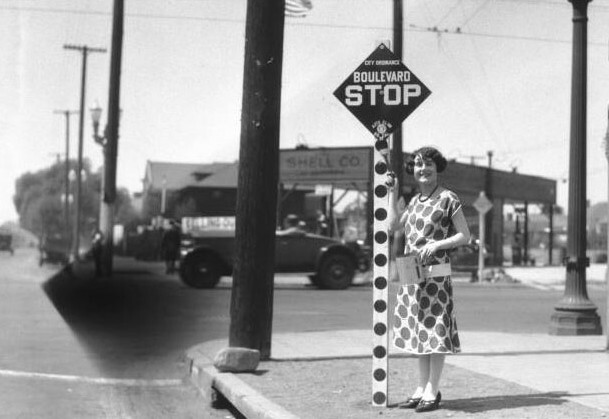 The use of Stop Signs began in 1915 in the State of Michigan. At first, the signs had black lettering on a white background. Most were 24 inches by 24 inches — similar to today's standard signs.